Give the gift of history this holiday season to the reader in your life, both young and old, while visiting historic sites that were crucial during the War for Independence! –Valley Forge National Historical Park on Saturday, November 24th, beginning at 11:00am at the Visitor Center Encampment Store. –The Roseberry House in Phillipsburg, NJ, on Friday, December 7th, from 7-9pm with 50 % of proceeds benefitting the Phillipsburg Area Historical Society. –Washington Crossing State Park in Washington Crossing, PA, on Sunday, December 9th, beginning at 10:00am in the visitor center during the park’s dress rehearsal for the reenactment of “the crossing” held on Christmas Day. Can’t visit? 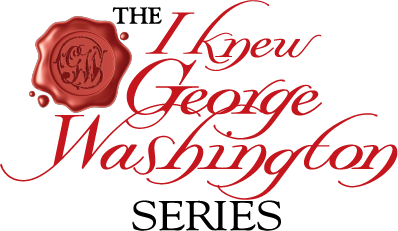 You can always shop at www.iknewgeorgewashington.com or on Amazon. Purchase all three books on our site and receive a 10 % discount!